Every product we sell has been carefully handpicked and tested. We stand behind everything we sell. If you feel a purchase has not lived up to your expectations or you are unhappy with it for any reason, feel free to return it within 30 days for a prompt refund, replacement or exchange. No questions asked! The only exceptions to this policy are herbal products and special order items. Special order items are exchangeable but not refundable. Ordering from B-Naturals.com is secure. 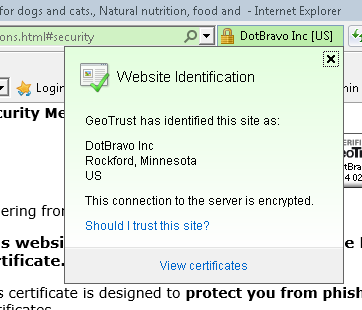 This website is secured with a GeoTrust True Business ID with Extended Validation certificate. This certificate is designed to protect you from phishing attacks better than normal SSL certificates. 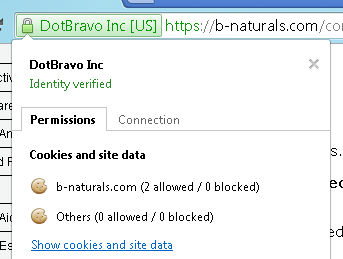 GeoTrust certifies that you are shopping from DOTBRAVO INC.'s B-NATURALS.COM website. 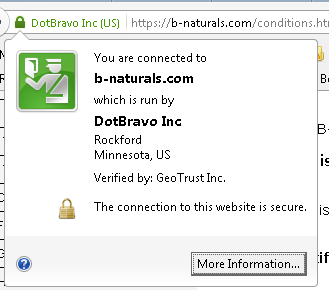 When you click our name in the address bar, you will see that GeoTrust verifies that DOTBRAVO INC. owns and operates B-NATURALS.COM. Please be confident that when you shop with us online, every security step has been taken to be sure your transaction is protected, secure and worry-free. Our commerce server uses SSL for secure web transactions, establishing a fully protected channel between your browser and our server and keeping your personal information completely private. Click DOTBRAVO INC [US] in Your Browser's Address Bar! 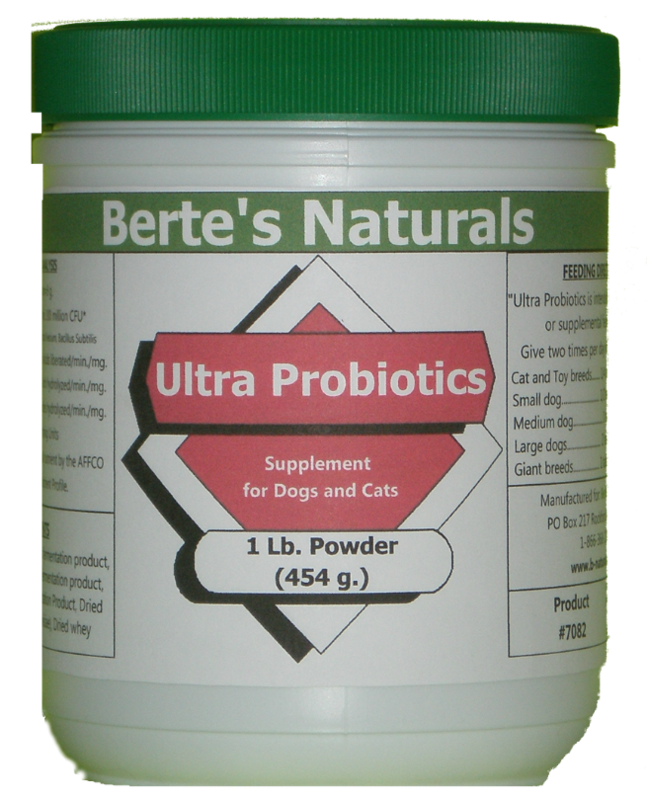 Thank you for being a B-NATURALS.COM customer! We ship all in-stock items within two working days of receiving your order and usually within 24 hours. 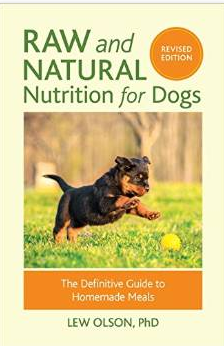 All orders deliverable to a Post Office Box address will be shipped by Priority Mail from the U.S. Postal Service. Orders are generall shipped via ground service unless the customer specifies faster service such as two-day or three-day delivery. If you would like International Delivery, please call Customer Service for assistance and rates. Occasionally an item may be back-ordered which will cause a delay. In such cases, you will be notified by email or phone. B-Naturals.com won't give, offer, lease, or reveal personally identifiable data to third parties. We will use your phone number only to reach your for order-specific issues. We will use your email to send newsletters, promotions and other items we think will interest you. Opt out of the newsletter at https://b-naturals.com/index.php?main_page=newsletter_subscribe. Opt out of any other email communication here: https://b-naturals.com/contact_us.html. We will use your name and address for billing, shipping and tax collection purposes. We reserve the right to give government agencies personal information when it our responsibility to do so, such as when presented with a warrant for this information. We use security measures to protect your data. Transactions occur over encrypted connections. Unauthorized personnel are not given access to the software interfaces that reveal your data. We track website usage using cookies and third party software. The data tracked is used in customer user experience analysis, website usage analytics, and search engine optimization programs. Customer user experience and website analyics helps us make the website easier to use. Search engine optimization efforts tell us how search engines see our website. We use these programs to improve our site usability, visibility and product offerings. These programs don't reveal personally-identifiable information. These services include but are not limited to Google Analytics. These services do not have access to your personal information and do not need that information to work. A contact form is available for you to send us messages. Messages sent via contact form include your email, name and message as you provide them. These messages and their accompanying personal data are stored in our company email. Only authorized personnel have access to comapny emails. Purchasing, returning and other store transactions require that we collect your name, address, email, shipping preference, tax status and collection, payment and shipping information. We might also collect other relevant order information such as whether the item is a gift. The payment data is deleted as soon as it is sent to the credit card processing company. The other data is stored in our database. It is accessible only to authorized personnel. All financial transactions occur over a securely encrypted channel called SSL (Secure Sockets Layer). SSL provides encryption from your computer to our store to the credit card company.